Needing your Help to grant a Special Last Wish to a Northern Ontario family! An Ontario nurse who has given to so many, now needs us to help her move her Mom back to home to Sault Ste. Marie. Time is very limited and we are reaching out to our communities of healthcare workers, first responders, medical organizations and those with a “generous heart” to help this family with there desperate plea for help!The following is a summary submitted by her daughter Jodi. 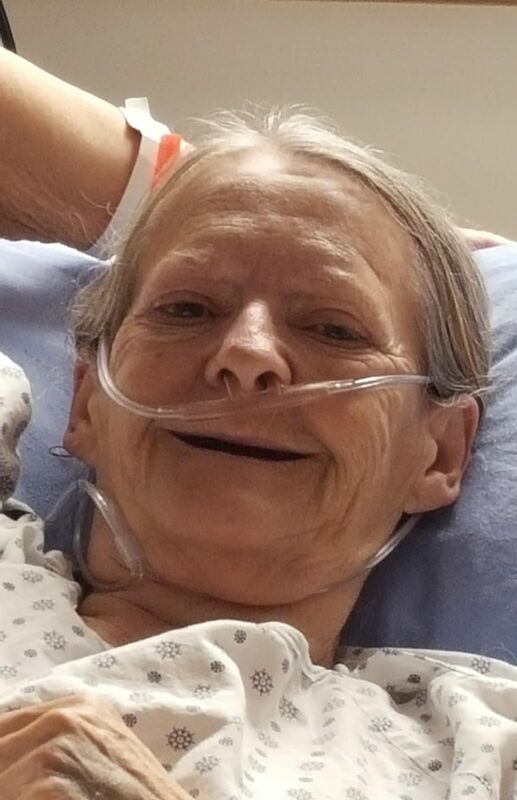 My mother Donna was rushed to the ICU in Edmonton about one week ago. At the time we were told she had severe pneumonia however after testing they discovered she had advanced stage cancer. She has now been diagnosed with neuroendocrinal tumor (so pancreatic cancer with mets to liver and lungs). Treatment options were chemo which could give her anywhere from 4 mths. to 4 yrs. We were told we could bring her home which would have been by personal vehicle. However yesterday we were told she now has a perforated bowel with no surgical intervention. Her life expectancy is now hrs/days. Her final wishes are to be spend her final moments with her family and get a chance to meet her 8 great grandchildren, see her 9 grandchildren, and 4 daughters also to see her African Grey Parrot named Jake. Any donations to help fund this travel and grant this final wish as this is a time sensitive situation, will be greatly appreciated by Donna’s family. Donate here by clicking on the link below then scroll to mid page – select category LAST WISH TO BRING DONNA HOME.- complete form then print off your tax receipt.